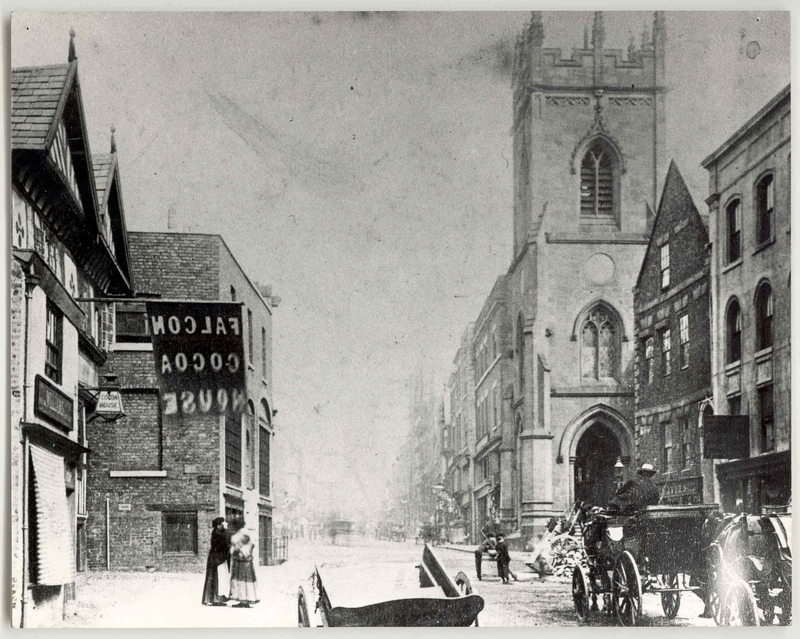 Chester History & Heritage is fortunate to be sited in the former St Michael’s Church on Bridge Street Row- a lovely building which was the only church in the country to have a public walkway through it! With its 18thC memorials, medieval ceiling and stained glass, the church atmosphere and character is still prevalent today. There has been a church at the bottom of Bridge Street since the 10thC but exactly when St Michael’s was built is not known, although there are references to the church towards the end of the 12thC. Parish records survive from 1560 and from the Churchwarden’s Accounts it is apparent that the church was rebuilt in 1582. Thirty-one “tymber treese” were obtained from Wrexham and the work required 3,000 double and 2,000 single slates. It took two labourers four days to take down the roof. 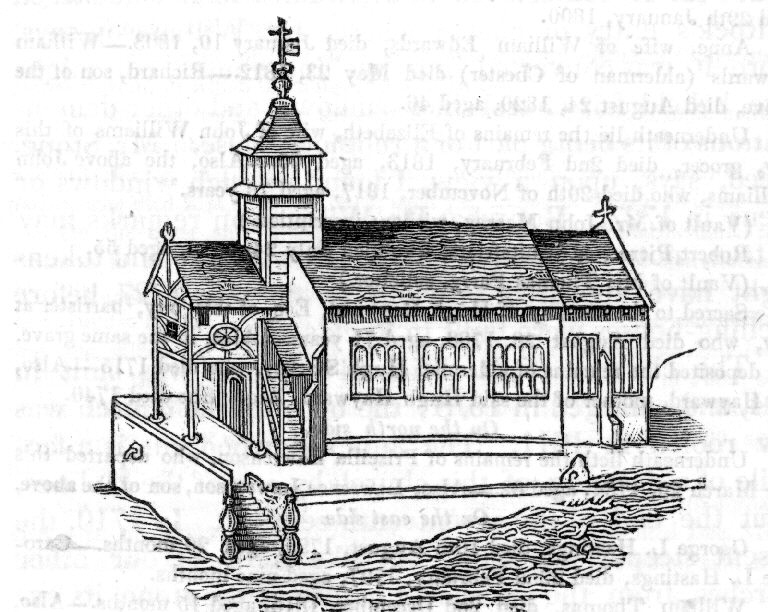 During the siege of Chester in the 1640s the church was used as a gaol. The Royalist prisoners were not to have “meat, drink, candles, light or Tobacco by especial order from the Commissioners, such were their Cruelty”. Perhaps because of the damage caused by this period the chancel had become ruined by 1679 and was rebuilt. 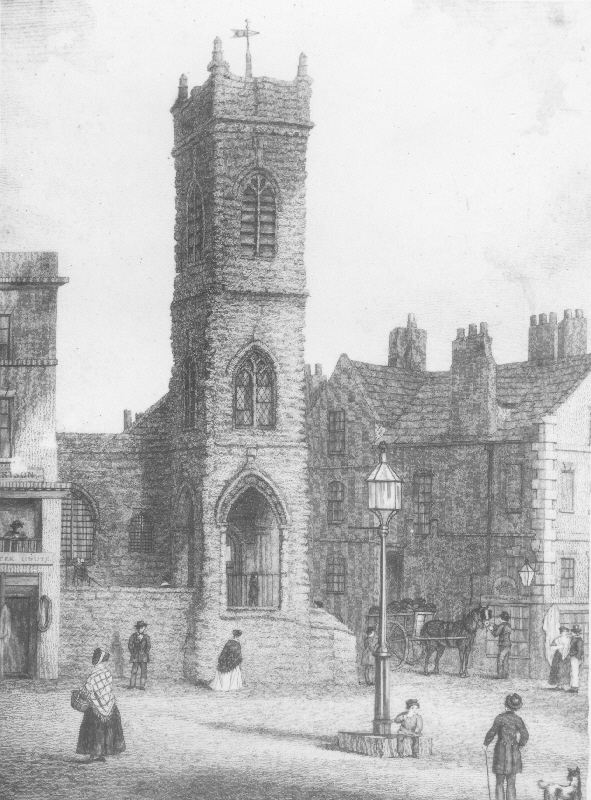 In 1708 the old wooden steeple and clock house was replaced with a stone tower but the interior had become inconvenient, unsightly and dilapidated. 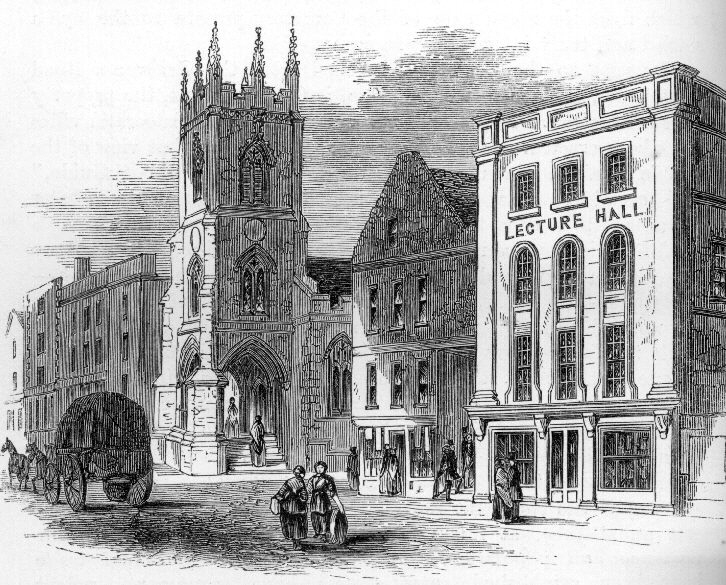 The south and east walls were unsafe so between 1849-1851 the church was again rebuilt, under the supervision of Chester architect James Harrison. Apart from the north aisle and the chancel roof which date from the 15thC, most of what can be seen today is Harrison’s work. In 1877 John Miles Moss, the curate in charge, presented the east window, which depicts scenes from the life of Christ. The parish was small but important. Some of the larger properties were owned by leading families – the Falcon was the town house of the Grosvenors and Lady Mary Calvely of Bridge House left £10 to St Michael’s in her Will. However, by the late 19thC parts of the parish had become areas of dense and insanitary housing. Demolished in the early 20thC many residents moved out to the newly built housing estates and shops and businesses gradually took over most of the other properties. 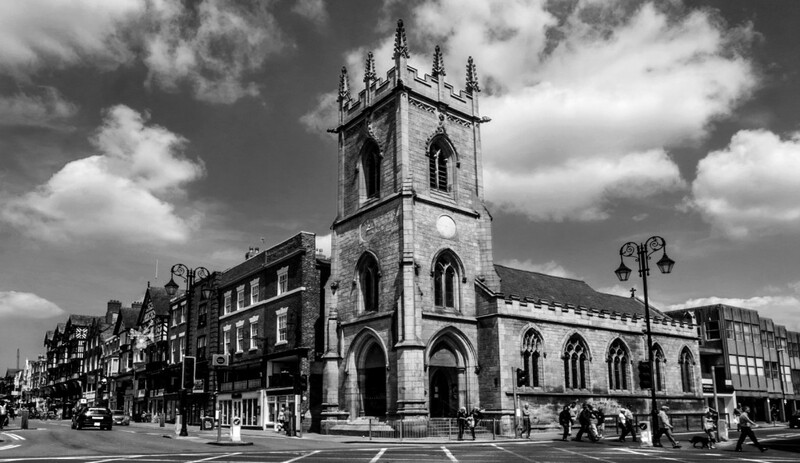 St Michael’s closed as a place of worship in 1972 but re-opened as Britain’s first Heritage Centre in 1975 and in December 2000 was taken over by Chester History & Heritage.